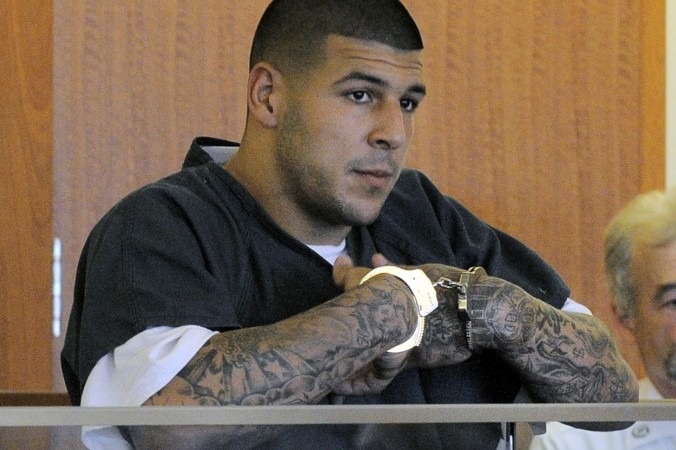 Randyn Julius Discusses The "Drugs That Got Us Here"
Former New England Patriots star Aaron Hernandez is currently in jail while awaiting trial for the murder of Odin Lloyd, a former friend. To add to his troubles he’s now been formally indicted on two counts of first-degree murder for the shooting deaths of two men in Boston in 2012. Hernandez is accused of murdering Daniel Abreu and Safiro Furtado. The two men were shot to death on July 16, 2012, while stopped at a traffic light by someone who drove up alongside them in an SUV with Rhode Island plates and opened fire. Hernandez allegedly encountered the men at a nightclub prior to the shooting. Relatives of Abreu and Furtado have filed wrongful death lawsuits in Suffolk Superior Court. Each family is demanding that Hernandez pay them $6 million in damages. In addition to the murder indictment, Hernandez was also charged with assault and battery after allegedly beating up another inmate. That brings the grand total up to three indictments while already behind bars on a murder charge.